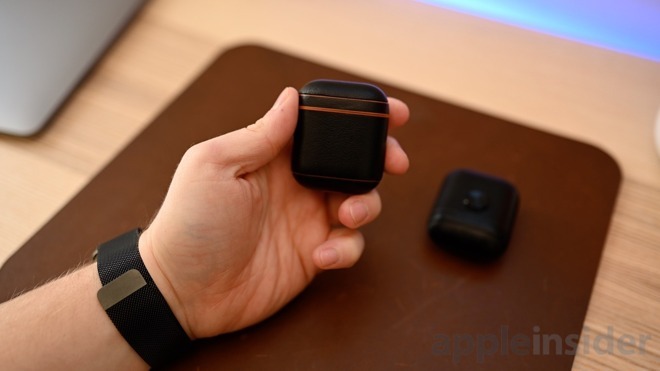 There've been a few cases for AirPods thus far including a plain leather one from Air Vinyl Design, a Horween leather one from Nomad, and a clippable version from Twelve South. These, however, mostly just offer protection and style. 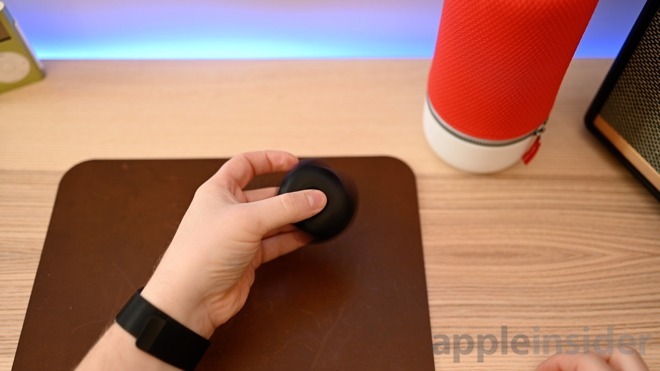 ZenPod, on the other hand, covers both of those and tries to add an addictive twist. Before getting into the spinning model, let's look first at the standard full-leather version that shares all its qualities with its suped-up counterpart. The shell of the case is wrapped in "premium Napa leather" which does feel soft to the touch. Air Vinyl Designs has several different colors of leather available including pink, tan, and black. Not much bulk is added by the shell, which keeps things very slim and light. The internal body is made of a durable polycarbonate —i.e. plastic —that is supposed to add some shock protection in the case of drops. One thing that worries us after extended use, is the hinge. Or rather, the lack thereof. Just a piece of leather acts as the hinge between the top and bottom. 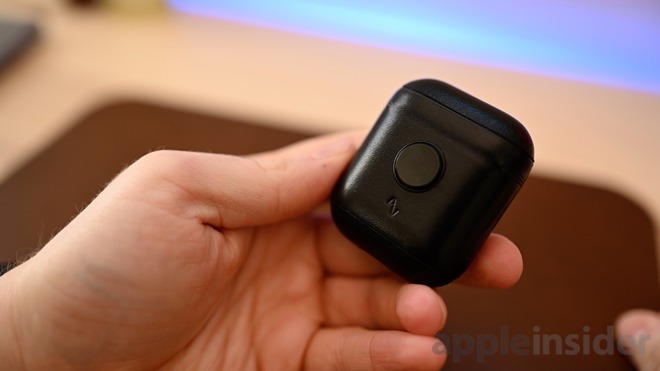 Theoretically, not much stress should be on the hinge since the AirPods have a hinge of their own, but we do wonder how this will hold up over time. There are minor defects gaps in the leather we noticed between the edges of the plastic shell because of how the leather is cut and wrapped. Most won't ever notice them, but they are unavoidable going with this style case. Nomad wraps its leather over the edges to help hide those seems, but Air Vinyl Design kept things thinner by not doing so. 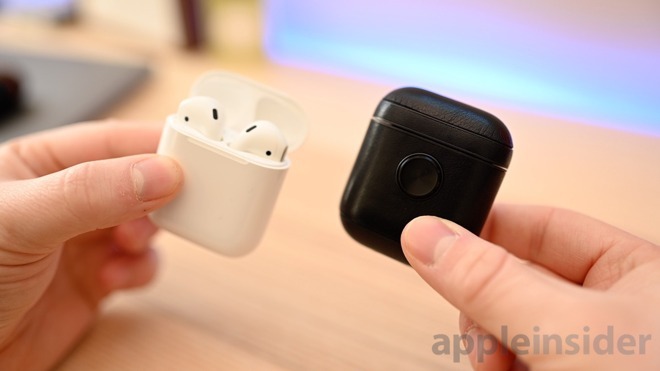 This is one of the nicest looking and feeling AirPods cases out there on the market, and we do like the added protection and appearance of such a shell. Aside from the leather version, Air Vinyl Design also recently dropped a modified version of the case that allows the AirPods case —with or without the buds —to act as a fidget spinner. It is the same exact case, but with an aluminum disk on either side of the case that allows you to grip and spin the case. Each disk has chamfered edges which make it more comfortable to slip in the pocket, and have a stainless steel bearing to help it spin smoothly. That said, this isn't the best fidget spinner we've ever played with. The balance of the case isn't perfect —obviously, the case wasn't designed to spin like this natively. That means it is impossible to spin the case on a single finger like an actual fidget spinner. The axis also doesn't feel perfect either, creating a bit of an off-center tilt to the case as it spins. When it comes down to it though, only die-hard fidget spinner fans will even care about this for that aspect. For the rest, it is simply a protective case for your AirPods charging case, and a fun novelty. You can grab the ZenPod case on Amazon for $30 or any of the leather models for $5 less.